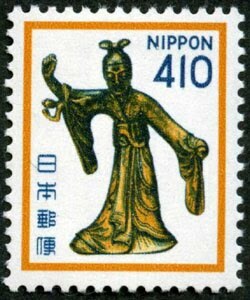 This stamp pattern has been used to make T-Shirts in Japan. 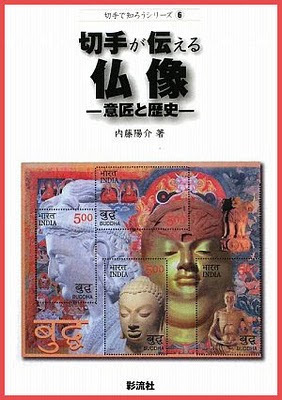 (simplified Chinese: 西游记; traditional Chinese: 西遊記; pinyin: Xī Yóu Jì; Wade–Giles: Hsi-yu chi) is one of the Four Great Classical Novels of Chinese literature. Originally published anonymously in the 1590s during the Ming Dynasty, its authorship has been ascribed to the scholar Wu Cheng'en since the 20th century. In English-speaking countries, the tale is also often known simply as Monkey. the postman always delivers your mail."
. . . . . Thank you, Mark dono! docomo is the name of a Japanese service for mobile phones. But read Mark's comment, it was ment in a different meaning. Mark here. I like your idea that my poem's "Dokomo" equates to Japan's semi-government-owned mobile phone carrier Docomo (aka NTT). But when I wrote the 5-3-5 poem, my meaning of "Dokomo" was different. In Kamakura, there is a statue called Dokomoku Jizō どこもく地蔵. late Kamakura period. It is located at the Rinzai Zen Sect 臨済宗 temple called Zuisenji 瑞泉寺. This statue is attached to a curious legend. Many centuries ago, the image was enshrined at Chiganji Temple 智岸寺 (now defunct) in Kamakura. The temple’s monk was extremely poor and unable to provide suitable offerings to the Jizō image. So one day he decided to move elsewhere to find a better life. Just then he heard the voice of Jizō saying Dokomo Dokomo. This translates simply as Everywhere, Everywhere. The priest was quick to grasp its deeper meaning -- things are the same no matter where you live, life is full of misery. Thus the monk resolved to stay and remained there until his death.